Robert S. Budd is the Chief Executive Officer of Family Residences and Essential Enterprises, Inc. (FREE), a not-for-profit agency that provides educational, community living opportunities and other support services for people with disabilities. 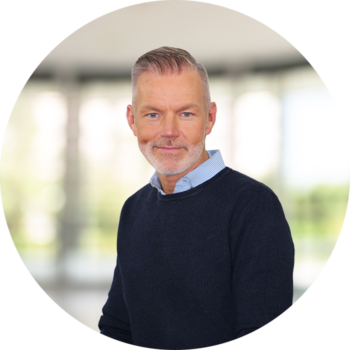 Mr. Budd is a vision driven, results orientated leader with extensive experience as a consensus builder, program developer, operations manager, trouble-shooter, management trainer and consultant. He has over 30 years of progressive leadership experience successfully interacting and negotiating with Federal, State and County agencies. Mr. Budd joined FREE in 1985 and has held key operations positions including Chief Administrative Officer, Associate Executive Director and Director of Quality Assurance and Education and Training. Mr. Budd was named Chief Executive Officer in 2008. He played a key leadership role in expansion of the organization from an annual budget of $1 million in 1985, serving forty-five individuals to a network of organizations providing over $100 million of services in 2014. Today, the network serves over 3,500 individuals annually in community living opportunities, vocational and clinical programs on Long Island. Mr. Budd has initiated and developed numerous innovative proposals including a Career Center, services for individuals with multiple diagnoses, Individual Residential Alternatives, Day Programs, Crisis Residences, Health Care Clinic, Horse Ranch and various other programs for the under-served. He has effectively incorporated necessary procedural changes to increase efficiency as the organization grew from 45 to 2,000 employees. Mr. Budd is actively involved with many human service agencies that support people with developmental and other disabilities. He is past president of the New York State Association of Community and Residential Agencies (NYSACRA), as well as having been the president of many advocacy organizations in the past. Mr. Budd is also on the Board of Directors for the American Network of Community Options and Resources (ANCOR), a national nonprofit trade association representing private providers of supports for people with disabilities. Mr. Budd holds a Bachelor of Arts degree in psychology from the State University of New York at Potsdam and a Master of Professional Studies in psychology from Long Island University, CW Post. DR. CHRISTOPHER D. LONG, ED.D. Christopher Long, Ed.D, is the President of Family Residences and Essential Enterprises, Inc. (FREE), a not-for-profit agency that supports individuals of all abilities with community living opportunities, employment, day services, clinical, education and after-school support and other supports. Dr. Long joined FREE in January of 2010. He has been recognized as a professional whose exceptional skills and dedication profoundly affect the lives of people with disabilities. Throughout his career, he has held various administrative positions in residential/housing services, day services, schools, supported employment, and professional development. Prior to joining FREE, for ten years, Dr. Long held multiple executive management positions at several not-for-profit health related and human service organization. Additionally, Dr. Long has a considerable amount of higher education teaching experience. In 2009 he joined the adjunct faculty at St. Joseph’s College in Patchogue and teaches graduate courses for the Child Study Department. Dr. Long is also an adjunct faculty member at Pace University, in New York City, Iona College in Westchester and Stony Brook University in Long Island, NY. Dr. Long has a doctorate degree in special education, a Master of Arts in special education, master’s degree in educational leadership and Bachelor of Arts in psychology. He holds a New York State Special Education permanent teaching certification and a New York State School Building Leader certification. Dr. Long was the 2005 winner of the prestigious Zella Bronfman Butler Award for outstanding contributions in the field of special education/human services. He is also the author of the highly anticipated book, Swimming in a Pool of Peanut Butter, written from the perspective of children with ADHD. Dr. Long is proud to announce his second book, “Stop the Bounce”, is set to be published in the near future. This book portrays the experiences of foster children who are hoping to one day find their forever family. All proceeds from these inspiring books benefit FREE’s Youth Services. Dr. Long’s diversified professional experience and passion for the human services and special education industries has provided him the skills necessary to be an effective leader, a confident visionary and an innovator. Susan Dickinson is the Chief Financial Officer of the Family of FREE (Family Residences and Essential Enterprises, Inc.) network of services. This is a growing network of not-for-profit agencies and for-profit companies, all working toward the goal of providing opportunities for people of all abilities to reach their full potential. Ms. Dickinson joined FREE in November 2012, bringing to the job more than 20 year of experience in the field. She is a skilled professional with strong technical skills, providing analysis to promote sound financial decisions. Prior to joining the FREE family, Ms. Dickinson was the CFO at Maryhaven Center of Hope, a sister agency on Long Island. She was a key member of the administrative team at Maryhaven, respected for her contribution to establishing policies, creating efficiencies, and implementing solutions to enhance the exchange of information and improve the provision of services. Ms. Dickinson received a Bachelor of Science in Accounting and an M.B.A. from New York Institute of Technology. Ms. Dickinson is a C.P.A. She is the recipient of the 1992 Elijah Watt Setts Award from The Board of Examiners of the American Institute of Certified Public Accounts. Anita Dowd-Neufeld is the Chief Administrative Officer for the Family of FREE Network. Anita has over 25 years experience as a human services professional. Anita has successfully managed the opportunities of many of FREE’s programs. Anita has successfully interacted with the state funding agencies such as the Office of Mental Health (OMH), the Office for People with Developmental Disabilities (OPWDD) the Office for Family and Children’s Services and the NYS Department of Health. 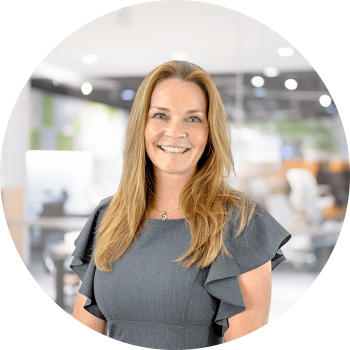 Anita joined the FREE network twenty one years ago and is currently the Senior Vice President of Strategic Partnerships and Business Development. Anita is responsible for grant writing, community development, advocacy, family relations and new business partnerships. Anita is a certified Facilitator for Franklin Covey’s 7 Habits of Highly Effective People and 7 Habits of Highly Effective Managers. Anita has been instrumental in FREE’s success with grant submissions. Under Anita, FREE was the recipient of over $4,200,000 in grants for 2015-2016, which enabled FREE to continue to grow and succeed in providing services to our most vulnerable population. Anita has been involved in the opening of new programs both on Long Island and in New York City. Anita works with real estate companies to find new locations, both single family homes and apartments, for our individuals based on their needs and requirements. Anita holds a Bachelor of Arts and a Master of Arts degree from State University of New York at Stony Brook (SUNY). John Herchenroder is Chief Legal and Compliance Officer of the Family of FREE Network. 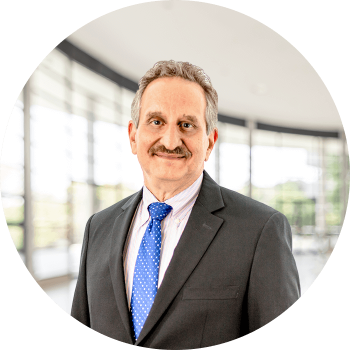 Mr. Herchenroder is a vision-driven, results oriented leader with extensive experience as a consensus builder, trouble shooter, compliance plan developer, management trainer and consultant. Mr. Herchenroder joined FREE as a Board member in 1990, and served as President from 1993 to 2001. Since that time he has served as Chief Legal and Compliance Officer. 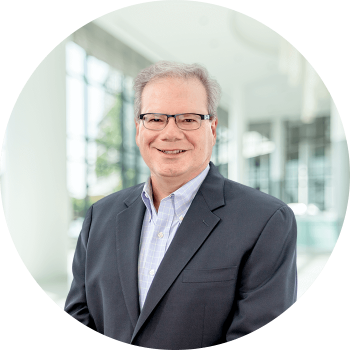 In the capacity as Chief Compliance Officer, Mr. Herchenroder was responsible for the development of the initial compliance plan for FREE, and has overseen its evolution consistent with the changes in the Medicaid provider world. 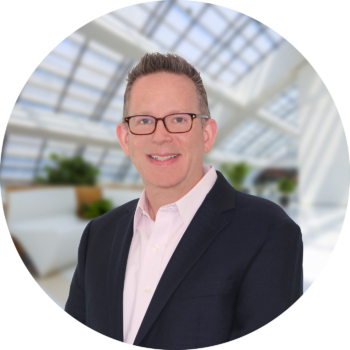 He has played key roles in formulating strategies to maximize compliance in a fast-growing agency, without concomitant growth in the Compliance Department staffing through an innovative program to “get it right the first time”. Mr. Herchenroder is actively engaged with many human service agencies that support differently abled persons. He serves on the Compliance Committee of the Alliance of Long Island Agencies (“Alliance”), and is Chair of the Compliance Committee of the Coalition of Long Island Behavioral Health Care Providers, Inc. (“Coalition”). He also plays a leadership role as Chair of the combined Enterprise Risk Management Committee of the Alliance and Coalition. Mr. Herchenroder has presented on compliance and legal topics to the Nassau County Bar Association and the Alliance of Long Island Agencies. Mr. Herchenroder has a Bachelor of Arts degree from Le Moyne College, and a Juris Doctorate from New York Law School. He is a member of the New York Bar and multiple bar associations. Anu Arnold, MA, LMSW is the Senior Vice President of Integrated Health and Community Services for the Family of FREE Network. Anu has been a valued team member with FREE for almost 12 years. During her tenure with FREE, she has worked closely with all stakeholders within the Behavioral Health arena to develop innovative housing and clinical services. 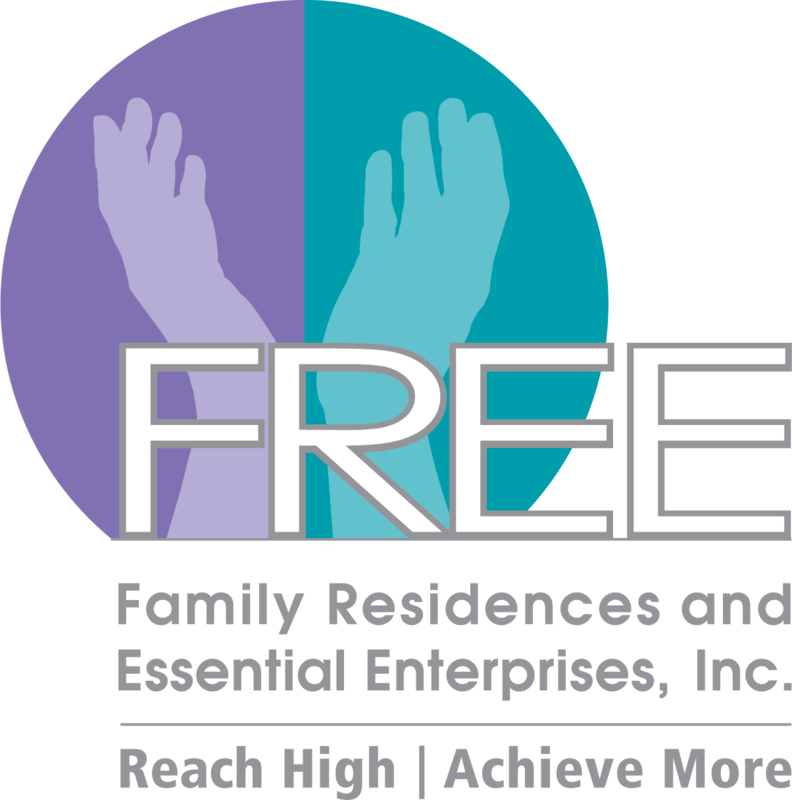 Under Anu’s leadership, FREE’s Behavioral Health division has expanded significantly and currently provides services to over 500 men and women with complex needs. Anu has been able to develop collaborative partnerships with several community providers to improve access to care for the men and women she supports. These partnerships include but are not limited to: Health Homes, Pilgrim Psychiatric Center and several Community Hospitals. 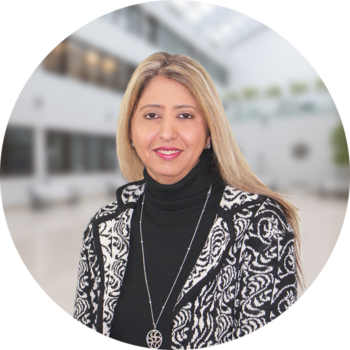 Anu currently serves as a Board Member and Co-Chair of Mental Health Subcommittee in Suffolk County. She is also the Chair of “Aging Subcommittee for Suffolk County.” The focus of this Subcommittee is on developing resources for OMH certified housing providers that can support the aging population in their settings. In addition, Anu is an active member of several trade associations such as ACLAIMH; NYAPRS; NYSACRA; NYS Council for Community Behavioral Healthcare and New York City Coalition for Behavioral Health. Anu has a Masters Degree in Clinical Psychology and a Masters Degree in Social Work from Adelphi University. John Best, SPHR, SHRM, is the Senior Vice President of Human Resources for the Family of FREE Network. He joined FREE in April 2017 and is responsible for providing strategic leadership and support to FREE and its affiliates. John oversees a team of 17 human resource professionals who ensure that the 2,500 Valued Team Members have the tools they need to provide quality services to the individuals we support. 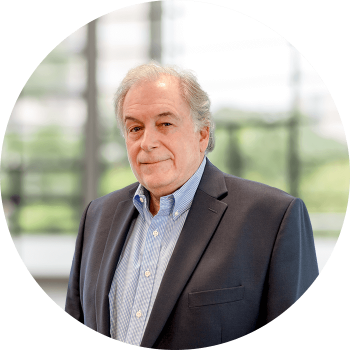 In the course of his over 20 years in nonprofit management, John has worked for a number of New York City-based social services agencies, including Puerto Rican Family Institute, Good Shepherd Services, and Gay Men’s Health Crisis. John has a Master’s in Public Administration from Baruch College and a Bachelor of Arts degree in Communications from Fordham University. He is certified as a Senior Professional in Human Resources (SPHR) and a SHRM-Senior Certified Professional. Lynda Foley is the Senior Vice President of Quality Support Services for the Family of FREE Network. Lynda has been a valued team member and an instrumental part of the evolution of FREE for the past 26 years. She joined the FREE team in 1988 as a Direct Support Professional in the Behavioral Health division that served as the foundation that catapulted her career. During her illustrious tenure at FREE, Lynda assumed a variety of administrative/management roles, including Director of Quality Improvement and Education. For the past three years, Lynda Foley held the position of Vice President for the Community Living Services and Opportunities division responsible for the operation and oversight of FREE’s largest area of service delivery. Lynda has been an integral part of FREE’s growth and has established a solid reputation in the field of health and human services. Lynda is a representative for the agency on several external committees including the Interagency Council (IAC) residential services committee and the Long Island Aging out committee. Susan Sorrentino is the Senior Vice President of Integrated Day Services, Employment Readiness and Education/Youth Services for the Family of FREE Network. Susan has had a long and successful career within FREE since 1987. 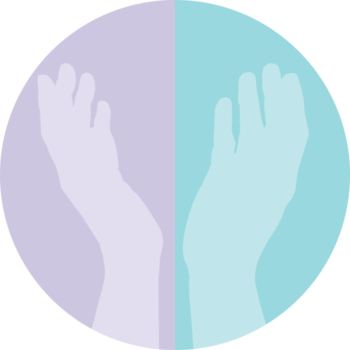 The scope of the Vice President’s responsibilities includes supporting over 600 adults with the daily provision of high quality day service opportunities, active community participation, voluntary work experiences, meaningful activities, work readiness supports and transition to work services as a bridge to employment with a primary goal to maximize individual potential. She also works with the agency’s children’s after school and weekend recreation programs and is working with school districts to prepare transitioning students for workplace success upon graduation. Susan also serves as Vice President on the Board of the New York State Association of Day Service Providers meeting with provider members state wide and interfacing with Office of People with Developmental Disabilities as part of her role. Susan holds a BA in Psychology and BA in Economics from SUNY Stony Brook and is currently enrolled in a Master’s of Education Program at SUNY Empire with focus on Teaching and Learning. Darren Belcher joined Family Residences and Essential Enterprises, Inc. (FREE), and began supporting the Family of FREE Network, in January of 2016 as the Vice President of Technology Services, where he is responsible for the organization and management of the Information Technology (IT) infrastructure, desk and mobile phones, applications and support. In addition, he is responsible for oversight of the IT team, including IT and phone managed services vendors, IT policy, and management of all IT systems. 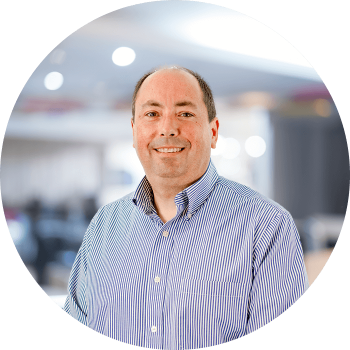 Prior to joining FREE, Darren worked at another not-for-profit, Phoenix House Foundation, as the Director of IT Support and Infrastructure, where he was responsible for the day-to-day support of all local and infrastructure end points. Darren has more than 25 years of experience in the IT industry at different levels of management and support with companies such as Warner Music Group and Computer Associates. Darren also serves as the VP of Programs for HDI, Long Island Chapter. HDI fosters the sharing of knowledge, skills and networking opportunities for IT service management and support professionals. Besides numerous IT certifications, Darren graduated from Control Data Institute with studies in Computer Science/Electronics. Gerard Cairns the Vice President of Education and Youth Services brought a wealth of experience from public education prior to coming to FREE. Gerard served as a teacher of special education and Assistant Principal in New York City’s department of Education. During this time he worked with a variety of populations including, physically handicapped, developmentally disabled, learning disabled and emotionally disturbed children on the elementary and high school levels. While in New York City he was selected to serve as a staff development specialist at the New York City Special Education Training and Resource Center (SETRC). On Long Island, he served as the Chair of Special Services and Assistant Principal at Commack High School, Principal of the Bellport Middle School and Principal at Oceanside High School for one year before he was appointed as Principal of Jericho High School. After retiring from the public schools Gerard served as Principal and Executive Director at a residential school for students with unique and special education needs, the Lake Grove School. Gerard earned a BA in Psychology from St. John’s University and he earned his MA in Special Education from Teachers College, Columbia University. In addition, he completed the coursework in a doctoral program in Special Education Administration at Teachers College, Columbia University (ABD). During his tenure as a teacher and school administrator Gerard served on many leadership teams and committees and was involved in the implementation of many educational initiatives including, school safety and security, instructional intervention, data analysis, school redesign, Positive Behavioral and Intervention Strategies, Therapeutic Crisis Intervention, International Baccalaureate Program and improving literacy. Recently, Gerard has been invited to serve on the Suffolk County Sheriff’s Re-Entry task Force for Youth and he is currently a trustee on the Smithtown Library Board. Andrew Cohen is the Vice President of Employment Services and Affirmative Business Opportunities for Family Residences and Essential Enterprises, Inc. (FREE), which proudly serves individuals in vocational and life skills training programs under the auspices of ACCES-VR, OPWDD and OMH. Andrew has been with the FREE Family for four years and provides oversight to FREE’s Vocational Services Department, The Rehabilitation Institute (TRI) and Contemporary Guidance Services (CGS). Additional responsibilities include the oversight and marketing of the network’s Affirmative Businesses, which include Fancy Free, Swept Free, TRI Go-Green, TRI Us Catering, Bubbles and Terry’s Café with the purpose of creating additional paid employment opportunities for individuals supported. Prior to joining FREE, Andrew assumed the role of Director of Residential Services for Federation Employment Guidance Services (FEGS), where he provided oversight for residences located in Manhattan, Brooklyn and Queens. Andrew graduated from the State University of New York at Stony Brook with a Bachelor of Arts degree. Andrew regularly participates in lobbying events in Albany to advocate on behalf of the individuals supported in FREE’s network of supports. Nancy Cohen, CFRE, Vice President of Development and Mission Advancement (DMA), joined the FREE family in April of 2001 as a Development Coordinator. Her extraordinary talent and tenacity were quickly recognized and she was elevated to Vice President where she now oversees FREE’s external and internal development programs. Internal events include several annual conferences and a yearly dinner dance attended by approximately 1,000 individuals. FREE’s annual fundraising efforts include a dinner gala. This event has been fundamental in bringing in revenue and increasing public awareness for the Family of FREE Network. 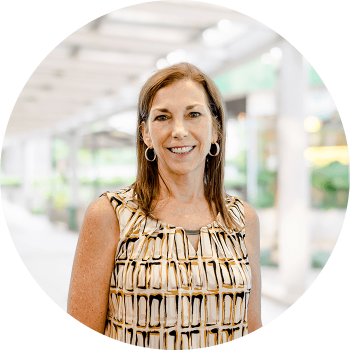 Nancy is responsible for achieving fundraising goals, engaging sponsors in ongoing service activities, leveraging key community relationships and partnerships, and developing new relationships that generate charitable funds for the organization. 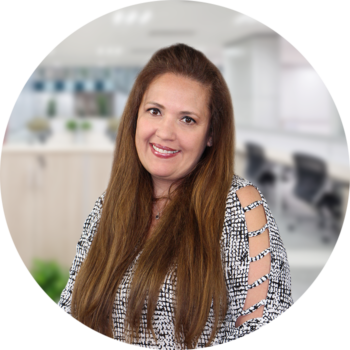 She leads all marketing efforts and develops advertising campaigns for all new and existing activities throughout the Family of FREE Network. 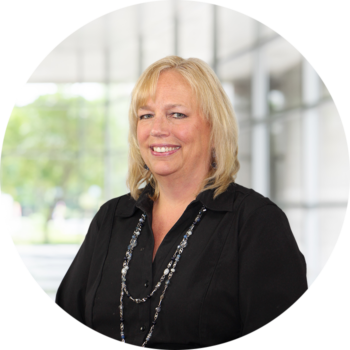 Nancy provides leadership, all while planning, organizing, directing and coordinating the strategic direction of DMA. She sets objectives, leads efforts to ensure progress toward priority goals and evaluates results to ensure that departmental and organizational objectives meet the needs and mission of the organization. Further, she designs and implements strategies and ideas to work with the private sector for the cultivation, solicitation and stewardship of individuals and corporations, as well as obtaining foundation gifts and identifying new donors. She also created a planned giving program based on the agencies 100% Giving Philosophy. Nancy has always been active in supporting nonprofit organizations on Long Island. In 2006, she volunteered to coordinate the Long Island Fight for Charity, a not-for-profit event that includes several large pre-events and the coordination of more than 100 volunteers, dozens of restaurants, sponsors and over 20 boxers each year. Nancy and her team successfully ran the Fight for Charity for more than seven years. This event has raised over $1,000,000 for a number of local Long Island charities and has attracted more than 1,200 attendees in any given year. After leading the Fight for Charity team for seven years, she now serves on the committee. Cohen has also been a member of multiple committees, including the Sisters of St. Joseph Golf Outing, Autism Speaks Walks, The Aaron Joshua Soskil Memorial Cruise for Causes, Long Island Cruizin’ For A Cure, Christa House, LIE Masquerade Ball, and was the lead in a collaboration conference with FREE and St. Joseph’s College. Cohen is also a founding member of the Long Island Elite, currently sits on the Catholic Charities Caritas Award committee, and is a member of the Plainview Bethpage Lions Club, as well as the Association of Fundraising Professionals. Vincent Cona has been with the FREE Accounting Department since August of 2011, starting as the Assistant Controller for Medicaid and other fee-for-service billing. As the scope of services in the FREE Network has grown, so has Vinny’s role. In 2014, he became the Controller for Revenue & Reimbursement, adding responsibility for contracts, claims, and all other sources of revenue for the FREE Network. In 2017, Vincent became the Vice President of Accounting, incorporating additional tasks of internal and external reporting, as well as, budgeting. 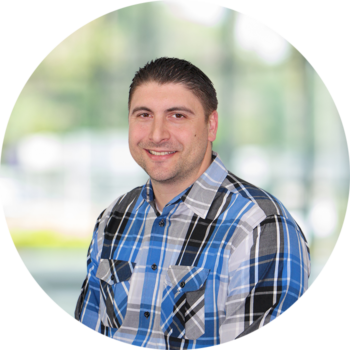 Prior to joining FREE, Vincent worked as an auditor for the accounting firm of Holtz Rubenstein (now Baker Tilly) and has brought a valuable auditors perspective to his position with FREE. Vincent received his bachelors degree in accounting from Hofstra University. 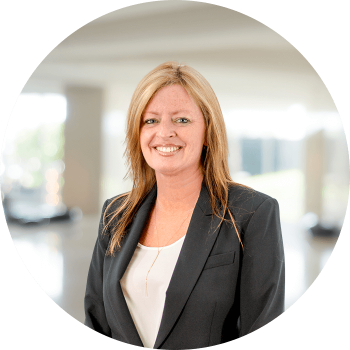 Mrs. Karen Reid joined the Executive Leadership team at FREE on April 17, 2017, having attained 25 years of experience in the field of Health and Human Services. She has held a variety of senior management positions during her 25-year career at a large not-for-profit organization providing a wide range of diverse services and has played an integral and extensive role in the design and oversight of housing options for persons who are differently-abled. Mrs. Reid’s role presently serves as the Vice President of Housing services at FREE and is responsible for the planner, growth, oversight and strategic direction of OPWDD Housing Services. She is responsible for developing the housing leadership teams by introducing to them the industry’s best practices and innovative approaches related to the highest quality of service. Mrs. Reid is also responsible for centralizing systems, and establishing consistent policies and procedures. She is also charged with identifying strategies designed to generate and maximize revenue, and to achieve outstanding performance within the industry. In addition to her professional accomplishments, Mrs. Reid has been a member of the Christian Cultural Center for the past 15 years, and she provides community service through her involvement with the church and dedication to worship. Mrs. Reid became a NYSACRA Housing Navigator in November 2015 and successfully consulted with Job Path in NYC to find housing for individuals with IDD. She holds a Master of Arts degree in Public Administration from Baruch College. Mrs. Reid has a proven track record of success in working with families and staff to provide homes which are safe and comfortable for individuals in pursuit of reaching their fullest potential. Kristen L. Lott, MA, started off her career at Family Residences and Essential Enterprises, Inc. (FREE) in 2004 as the Program Director for Behavioral Services where she was jointly responsible for the oversight of six OMH-licensed community residence programs, a 46-bed apartment treatment program, an OMH non-licensed Supported Housing program and Homeless Housing under HUD and HHAC. In 2008, she was made Compliance Coordinator for the Compliance Department where she was responsible for the implementation of the agency’s corporate compliance policies, procedures and systems in accordance with OMH, OPWDD and DOH regulations. In 2010, Kristen became Operations Coordinator for Behavioral Health Services and was responsible for auditing records for corporate compliance and quality improvement, as well as evaluating policy implementation. From 2012 through 2014, Kristen was the Residential Director for Behavioral Health Services, where she supervised the management of the licensed and certified residential facilities and its staff, while ensuring ongoing quality care of the men and women we assist, under the auspice of OMH. Starting in 2014, Kristen became Assistant Vice President for Housing Services and Opportunities where she became responsible for the management and supervision of the division’s licensed and certified residential facilities under the Office of Mental Health (OMH) and specialized licensed residential programming under the Office for People With Developmental Disabilities (OPWDD), as well as the staff and the men and women we support, while leading several projects to help clients achieve independence. Starting in 2018, in her new role as Vice President of Housing Services, Kristen will co-lead efforts to nurture partnerships in specific areas of opportunity and housing expansion of services for FREE, to include: Cultivate and develop new housing opportunities for those we serve that is aligned with the principles of integration and transforming priorities of the NYS plan; continue to expand related community supports for people who do not require long-term services and cultivate new housing/service options; develop policies and procedures that embody the agency’s philosophy and provide direction to personnel responsible for the provision of all services related to the oversight of housing services; strengthen and lead the development of those services and harness strategic partnerships and opportunities aligned with the mission of the agency and services aforementioned; develop and execute strategies to create new partnerships that cultivate the services related to this evolving area of opportunity; develop partnerships with hospitals, MCOs, IPAs and other health management services in an effort to ensure those we serve receive all services they require to live healthy and satisfied lives; broaden our relationships with the business community, legislators and other key stakeholders; and assure the proper and efficient oversight of the organization, including oversight of management, clinical and other key personnel under her direction. Kristen has proven to be an exceptional leader who possesses great integrity, unrelenting commitment to our mission and she embodies the spirit of inclusion and innovation required as we embrace this new era of opportunity. Kristen studied at Adelphi University where she received a bachelor of arts degree in communications with a minor in psychology. Furthering her education, she also attended Long Island University to obtain her master of arts in psychology. Christina Arnao is the Vice President of Housing Services and Opportunities. She is responsible for the strategic direction for an operating division within the FREE Network and leads efforts of the division to ensure progress toward priority goals. Christina is an integral member of the senior management team and is an active contributor to the organization’s strategic plan. Christina joined the FREE family in 2003 as a Residential Manager and over the past 16 years has held a variety of senior operations positions in Residential, Quality Improvement, Compliance and Risk Management Departments. She has served as Operations Director, Support Service Director, Associate Divisional Director, Senior Support Service Director and Assistant Vice President prior to her promotion to Vice President. Her extensive background in operations and knowledge of quality performance support the effective and efficient oversight of her division. Christina has 25 years of experience in the field f Health and Human Services. Prior to joining FREE, she worked at Maryhaven Center of Hope supporting children and adults in residential settings. Christina earned a Bachelor’s Degree in Childhood Education/Special Education with a concentration in Human Relations from St. Joseph’s College. She is active in the community and has volunteered as a VIBES Counselor, working with both children and adults faced with domestic violence and sexual abuse. Janet Shy, MSW, is the Vice President of Housing Services and Opportunities and is responsible for the strategic direction and development of strategies to meet priority goals for an operating division within the FREE Network. 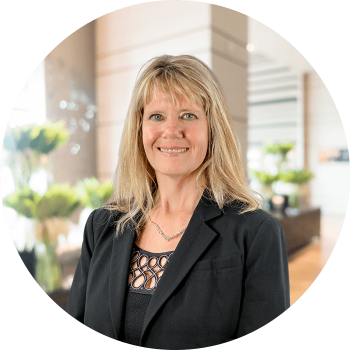 Janet is an integral member of the senior management team and is an active contributor to the organization’s strategic plan. She has worked in the field of Health and Human Services for over 28 years and has served in a variety of managerial and administrative roles. She served as the Director of a valued affiliate of FREE, Inc., Park House Inc., and played an integral role in the overall operation and subsequent merger of that organization into the FREE family. Janet served as the chairperson for the Association for Community Living’s Program Committee for six years and has been responsible for the implementation of several events including Mental Health Awareness Day, ACLAIMH’s Long Island Regional DSP and Supervisory Conferences. She has been consistently involved in OMH, OPWDD and OMIG audits providing professional insight during reviews. In 2011 she was appointed as the Chairperson of the Board of Directors for the CDCH Foundation for Special children. Janet earned a Master’s Degree in Social Work from Adelphi University.